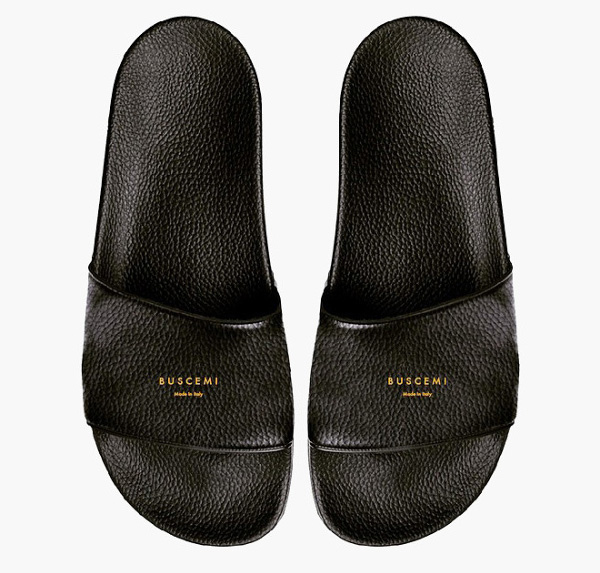 Buscemi, the luxury brand most often associated with expensive hightop sneakers, will soon be the luxury brand associated with expensive slippers, once the Jon Buscemi leather slip-on sandals drop off the foot and onto store floors. Given the slipper style, it’s probably safe to guess that we won’t be seeing these until the warmer months of 2015. The slippers are detailed throughout in fancy pebbled leather and finished with the brand’s logo on the upper in gold-foil print. Soon you’ll be able to walk around poolside or in the gym shower in class. The price remains a mystery, but it is probably safe to assume you can probably hock a sandal if you ever need to make rent.